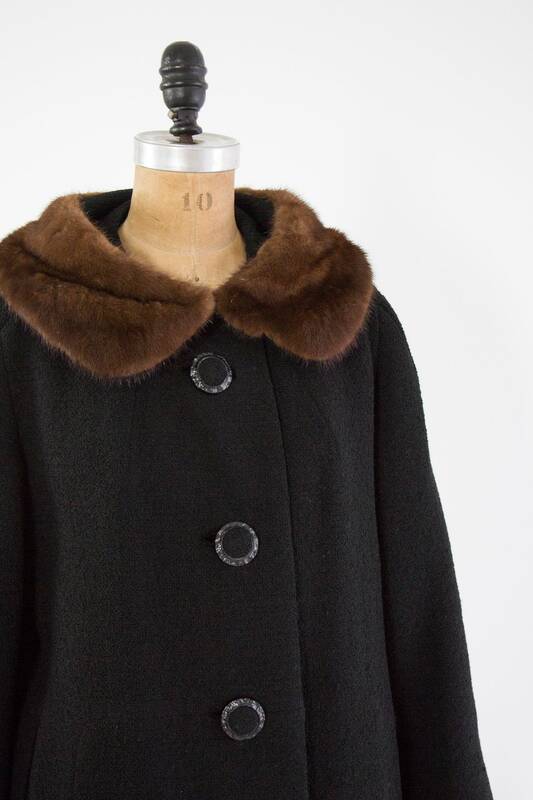 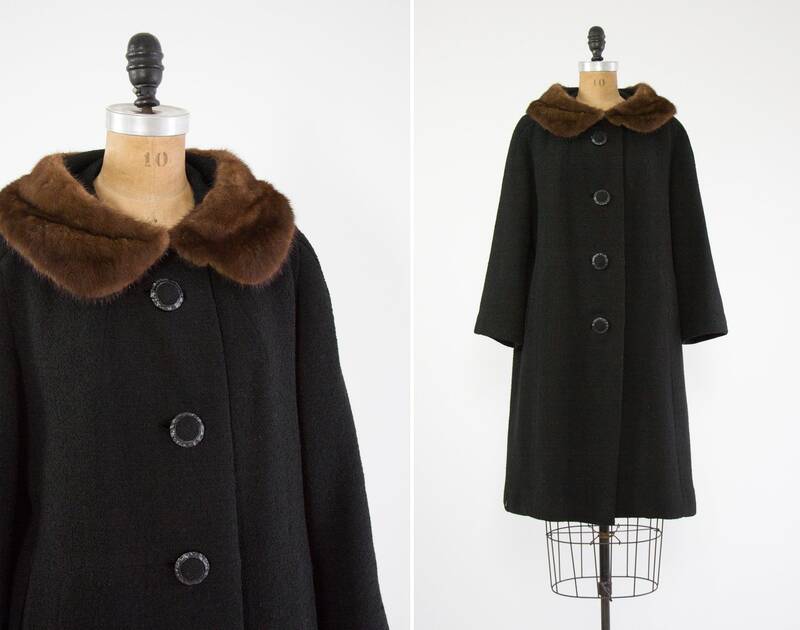 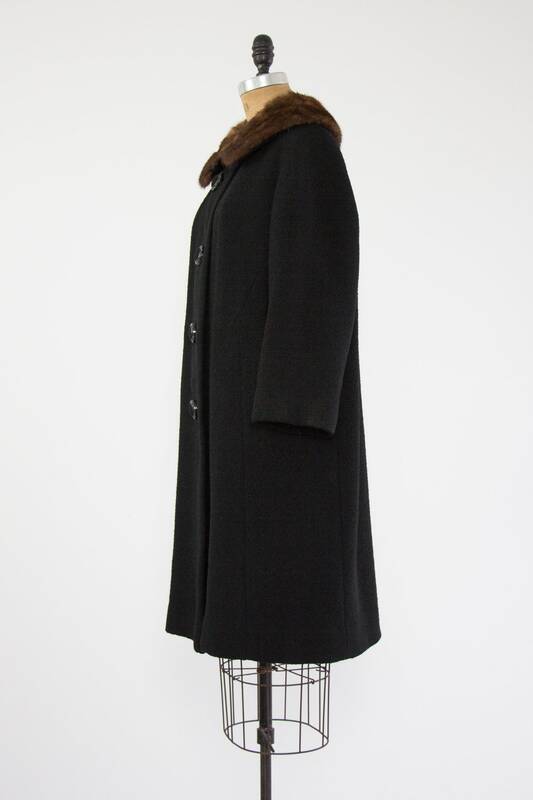 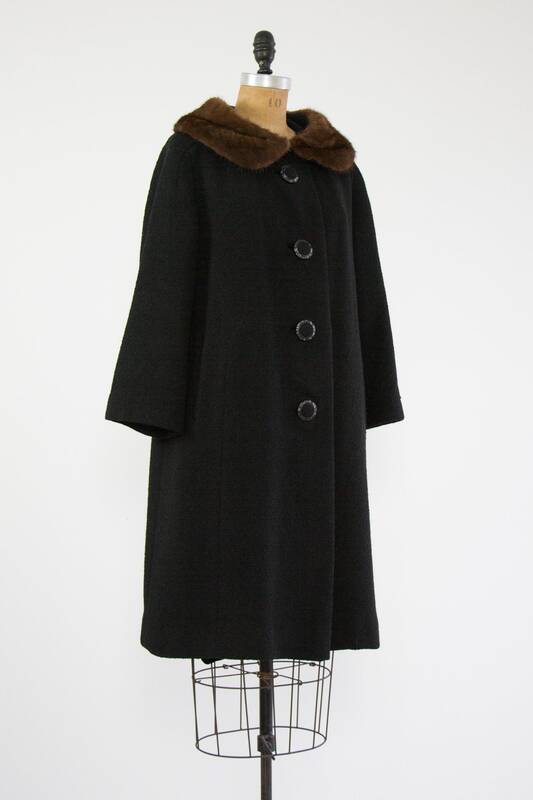 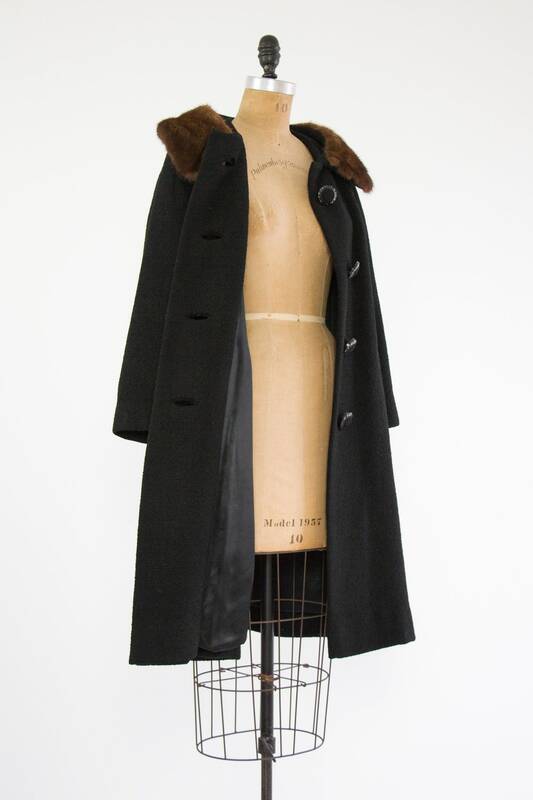 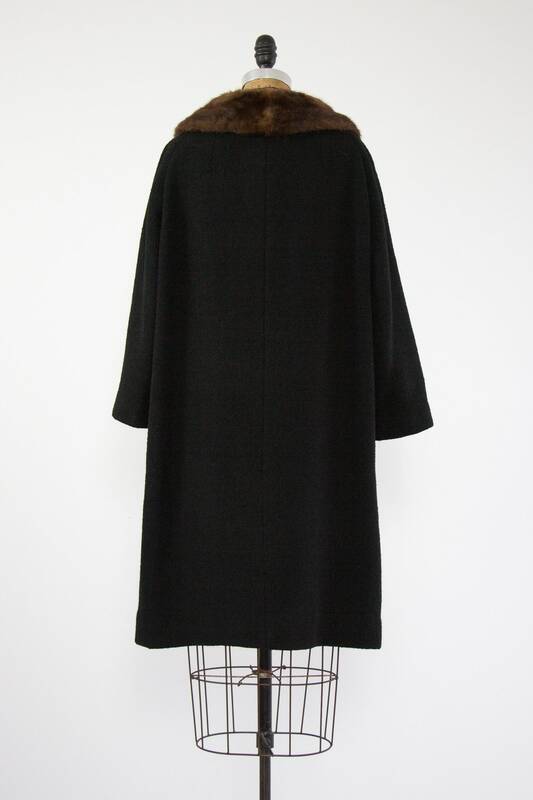 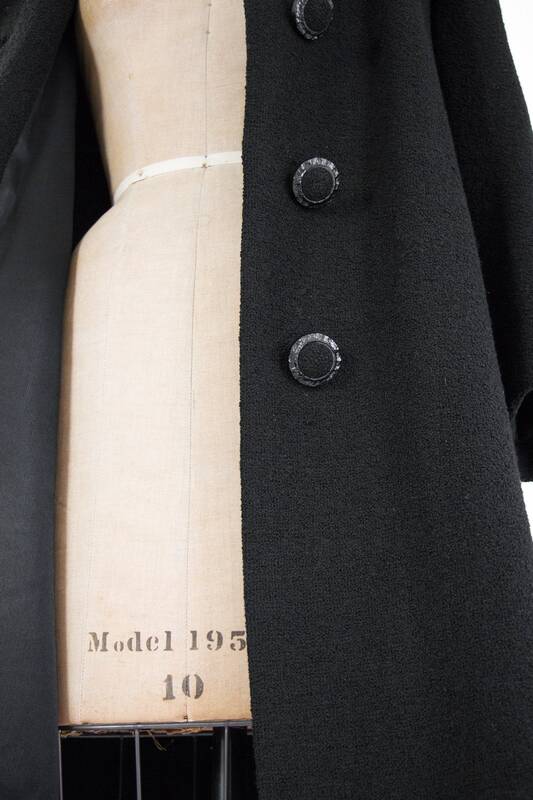 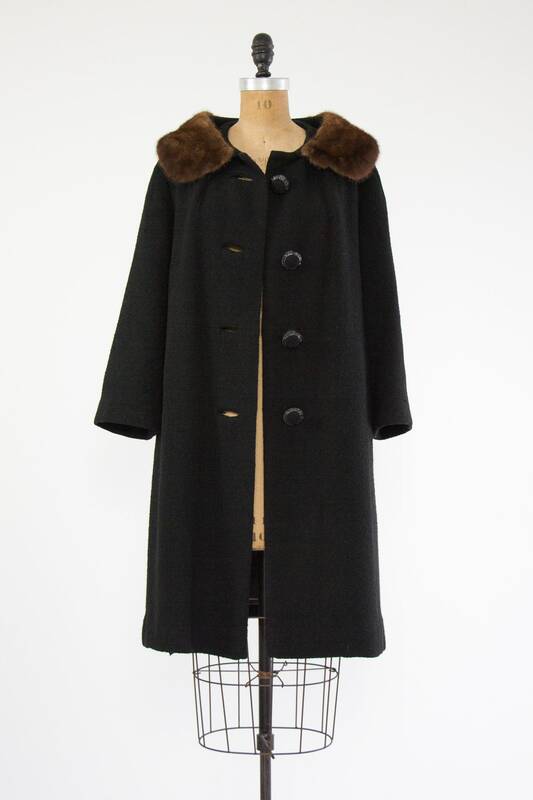 Vintage mod 1960s wool coat with fur collar. 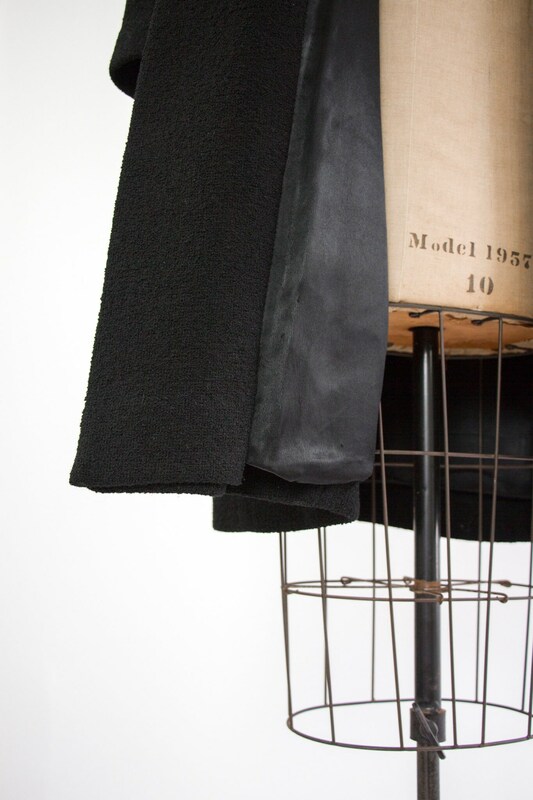 Made from inky black bouclé with a luxurious satin lining. 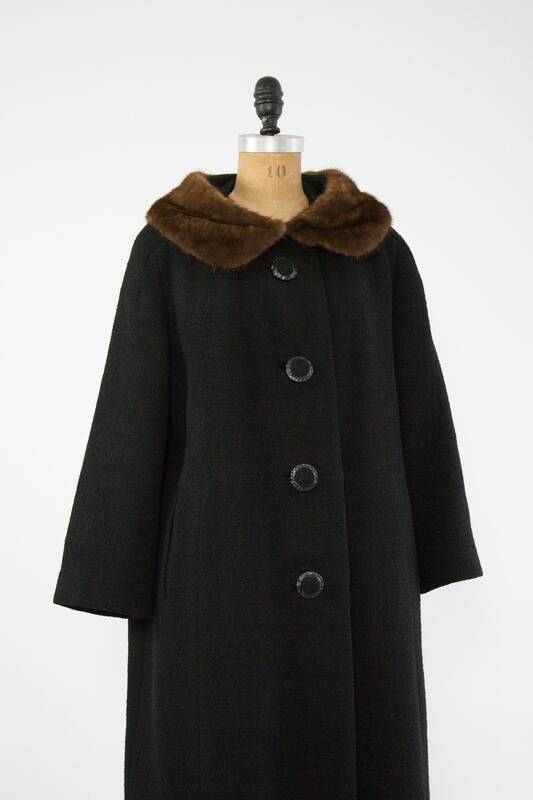 Has oversized covered buttons down the front, fur collar, two exterior pockets, and a thermal layer between the shell and lining for added warmth.